Welcome to the Monster Cafe – Pull up a seat and maybe win a free copy! We are so pleased to introduce you to our newest game that is on the shelves of your specialty game and toy stores right now, Monster Cafe! We invite you to dine on all the delectable delights this cafe serves up, roasted roadkill, deviled dust bunnies and boiled brains. Have we whet your appetite? What exactly are we talking about? 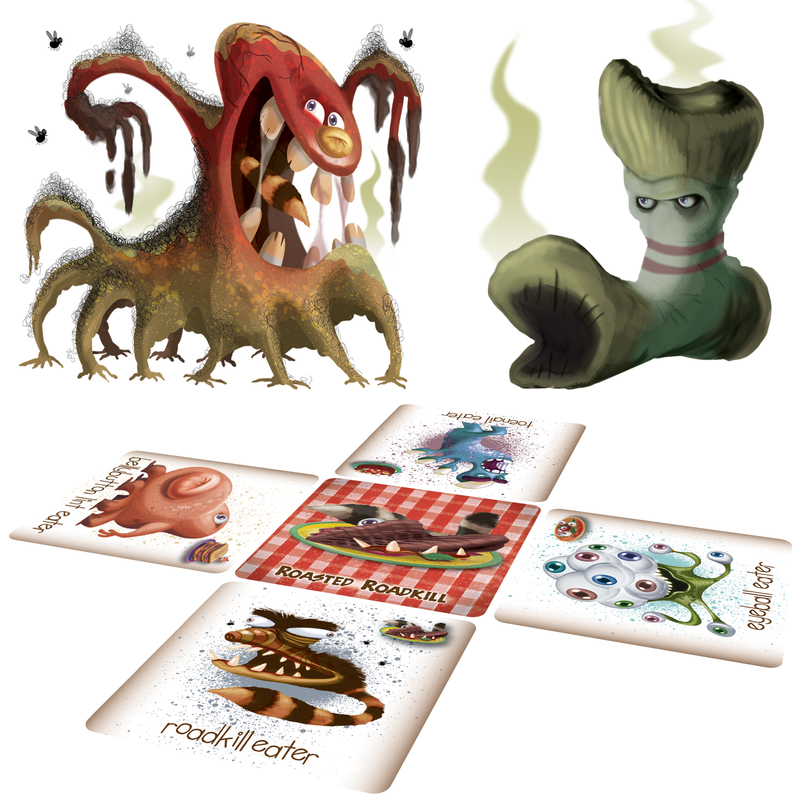 It is a terribly, tasty card game where you play cards to seat hungry monsters around tables filled with revolting refreshments. But be careful as these monsters are extremely picky eaters, this is a “press your luck” strategy game. Feed them what they fancy or else they may take a bite out of your score! 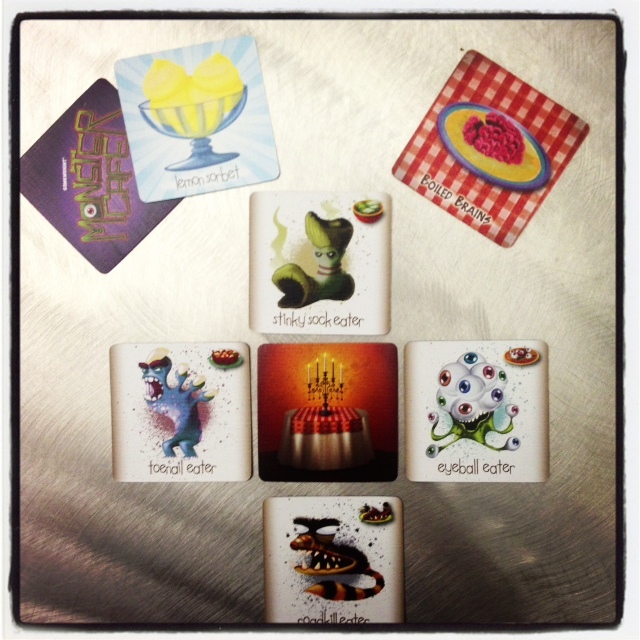 Your objective is to score the most points by collecting monsters and matching them to their respective meals. Oh, and whatever you do, avoid the lemon sorbet, in this case it is more than a palate cleansing, it wipes monsters right out of your hand! Free Game Giveaway: Send the name of your favorite TV or movie monster to pr@gamewright.com and the most creative answer will win a copy of this brand new game! Entries accepted until Wednesday 5/29/13 at noon. Winner will be notified by email. This entry was posted in Monster Cafe, Uncategorized and tagged 2013 games, new game. Bookmark the permalink. 1 Response to Welcome to the Monster Cafe – Pull up a seat and maybe win a free copy!